Statistics Canada estimates the Industrial, Commercial, and Institutional (IC&I) sector is responsible for 65 per cent of the 25 million tonnes of waste generated annually in Canada and diverts 19 per cent of it. Comparatively, the residential sector has a diversion rate of more than 65 per cent largely driven from municipal programs. A barrier for improvement in IC&I waste diversion includes organizations and facilities being largely serviced by private haulers where services are procured more regionally and collection is decentralized, which makes it difficult to collect consistent materials types in reliable quantities and secure dependable end-markets. Recycling and composting programs are procured on a fee for service basis, paid for on a building or portfolio basis challenging economies of scale and costing structures. Coupled with a lack of regulated performance standards and reporting requirements there is limited means to motivate improvement. Governments at all levels are seeking to improve the waste reduction performance of the IC&I sector, and Ontario has indicated it as a priority area in the provincial strategy that is tied into Waste-Free Ontario Act. That’s why RCO is continuing its work on waste reduction in the IC&I sector initiated by Knowledge Sessions series and focusing resources to affect improvements in the private sector. RCO has established an Advisory Committee populated by organizations that own and manage some of the largest real estate portfolios in Canada – and more than 2.5 billion square feet worldwide – to add to a knowledge base that can be leveraged in a variety of ways. The committee members represent diverse IC&I sector and will work in a collaborative and non-competitive fashion. Improve stakeholder understanding of key areas of concern and opportunity. Better understand waste characterization, management and reporting as it relates to performance. Share information on policy changes and how they can be managed as they occur. Establish and expand upon resources. Provide opportunities to collaborate across sectors. Explore linkages to procurement of goods and service and waste reduction performance. Make inventory and available work being undertaken on waste reduction performance and best practices to create resources and reduce duplication. Established in 1817 as Bank of Montreal, BMO Financial Group is a highly diversified North American financial services organization. With total assets of $549 billion as at July 31, 2013, and more than 46,000 employees, BMO Financial Group provides a broad range of personal and commercial banking, wealth management and investment banking products and solutions. Operates 900+ branches in Canada and eight other countries. Cadillac Fairview is one of the largest owners, operators and developers of best-in-class office, retail and mixed-use properties in North America. The company also invests in retail, mixed-use and industrial real estate in Brazil, Colombia, and Mexico; and owns 72 properties in Canada, including landmark developments, such as Toronto-Dominion Centre, CF Toronto Eaton Centre, CF Pacific Centre, and CF Chinook Centre. CBRE Group, Inc., a Fortune 500 and S&P 500 company headquartered in Los Angeles, is the world’s largest commercial real estate services firm (in terms of 2010 revenue). The Company has approximately 31,000 employees (excluding affiliates), and serves real estate owners, investors and occupiers through more than 300 offices (excluding affiliates) worldwide. CBRE offers strategic advice and execution for property sales and leasing; corporate services; property, facilities and project management; mortgage banking; appraisal and valuation; development services; investment management; and research and consulting. EllisDon is a world-leading construction and building services company that completes in excess of $3.5 billion worth of contracts annually, in every market sector and across the globe. 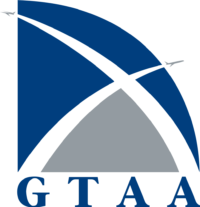 The Greater Toronto Airports Authority (GTAA) is the operator of Toronto Pearson International Airport. With 41 million passengers in 2015, Toronto Pearson is Canada’s largest airport, and North America’s second largest international passenger airport, as measured by the total number of annual international passengers. Toronto Pearson is a hub for the movement of people and goods across the country and the continent, and also around the globe. Loblaw Companies Limited (Loblaw) is a Canada-based company engaged in food distribution and is also a provider of drugstore, general merchandise, and financial products and services. The Company is a subsidiary of Weston Limited (Weston). The Company offers the Canada’s (private) label program, including President’s Choice, no name, and Joe Fresh Style brands. In addition, the Company makes available to consumers President’s Choice Financial services and offers the PC points loyalty program. Royal Bank of Canada is Canada’s largest bank, and one of the largest banks in the world, based on market capitalization. It is one of North America’s leading diversified financial services companies, and provides personal and commercial banking, wealth management, insurance, investor services, and capital markets products and services on a global basis. It has over 80,000 full- and part-time employees who serve more than 16 million personal, business, public sector and institutional clients through offices in Canada, the U.S. and 36 other countries. With headquarters in Mississauga, Ontario, Walmart Canada now operates a growing network of more than 400 stores, including traditional discount stores, supercentres and an environmental demonstration store in Burlington, Ontario. With nearly 90,000 associates the company is one of Canada’s largest employers. Walmart Canada’s corporate culture was recently ranked among the 10 most admired corporate cultures in Canada by Waterstone Human Capital Inc.